Capital Pride's interim board of directors voted Wednesday night to declare bankruptcy, three months after the former board announced it was looking into financial irregularities. The vote passed at the annual general meeting, with 41 people voting in favour of declaring bankruptcy, five opposed and three others abstaining. Before the vote, several interim board members said Ottawa's pride festival is too big and too complex to be run by a group of volunteers. Among them was interim board member Peter Zanette, who said keeping up with finances is beyond him and that a professional should be doing it. In September, Capital Pride festival organizers announced they were investigating financial irregularities and that the police may become involved after some festival suppliers said they hadn't been paid. At an annual general meeting on Wednesday night, Capital Pride voted in favour of declaring bankruptcy. Here, festivalgoers enjoy the summer event. (CBC )In October the organization announced it had no choice but to declare bankruptcy, but at a November annual general meeting, the bankruptcy declaration was put off for 45 days. At the time, the shortfall was said to be just under 90 thousand dollars. Zanette said Wednesday night the shortfall has now jumped to more than $106,000 and says even that number is missing some variables. Former board chair Marion Steele said she was frustrated to be voting without a clear sense of the dollar figure. "It is messy. And I always say if it looks like a duck and walks like a duck, its a duck. And it's a mess," Steele said. "Now this interim board is staying on and they'll work on getting new board members set up and new committee set up and if that works, then more power to them," Steele said. 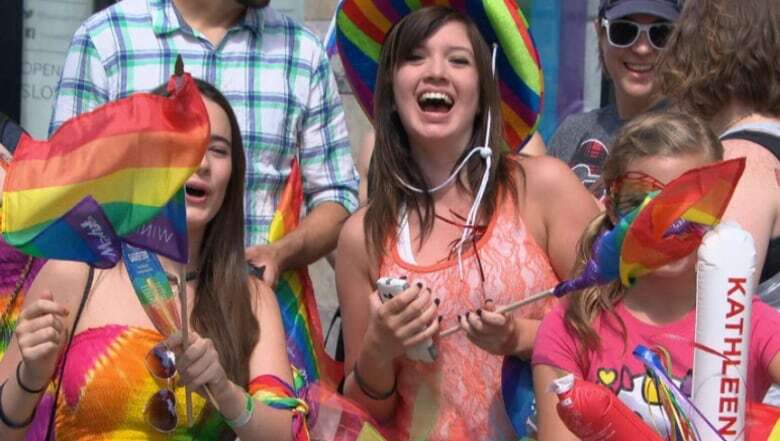 After stepping down as chair of the Capital Pride board, Jodie McNamara told CBC News she's not sure how this year's pride festival ran up a debt of nearly $90,000 and said she's unsure if the event's creditors will ever get their money back.